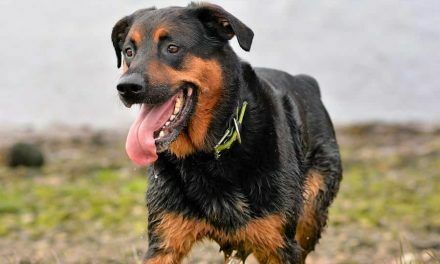 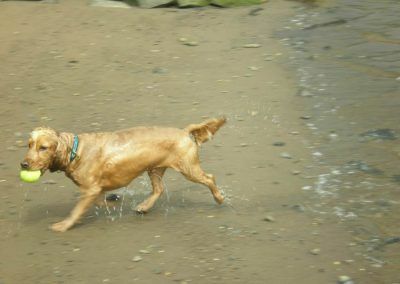 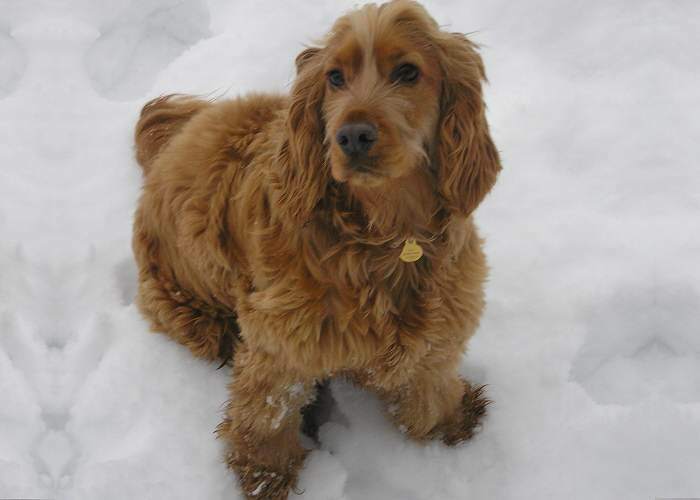 Jay was the first ever dog I walked and I walked him for about a year and a half until I stopped working in the Renfrew area. 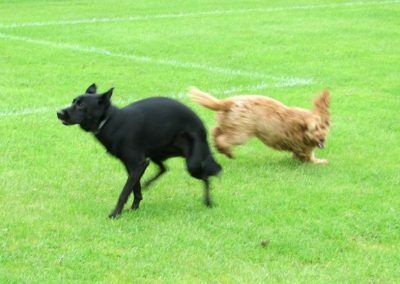 Jay would get walked at Roberston Park and occasionally the KG 5’s. 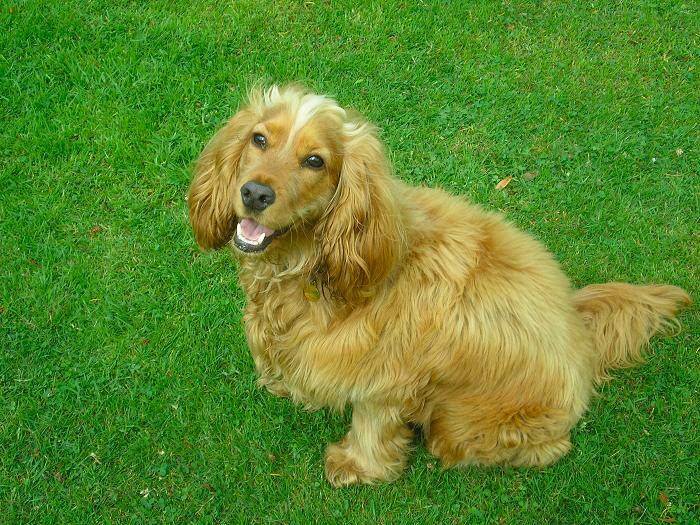 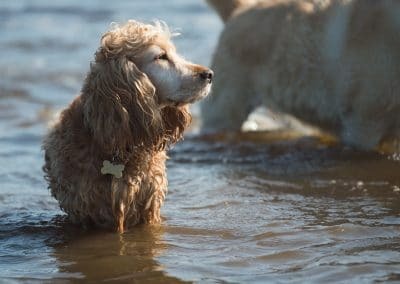 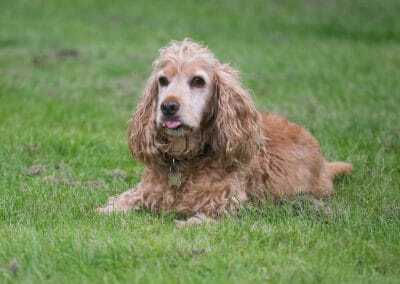 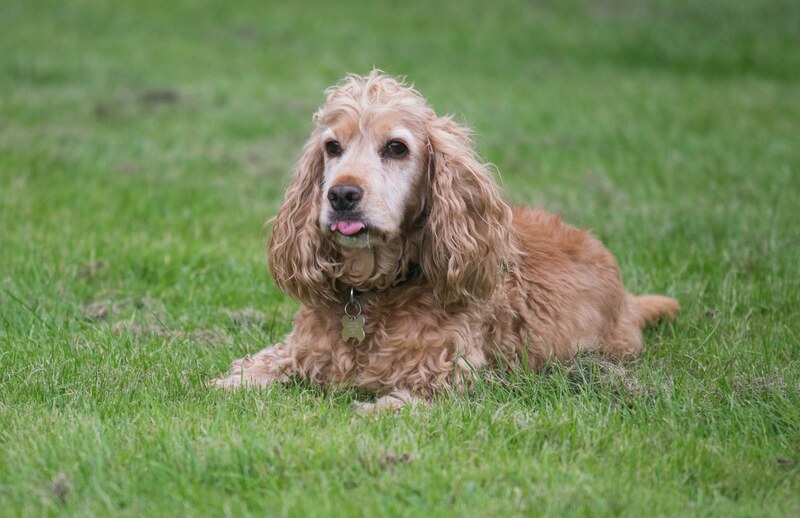 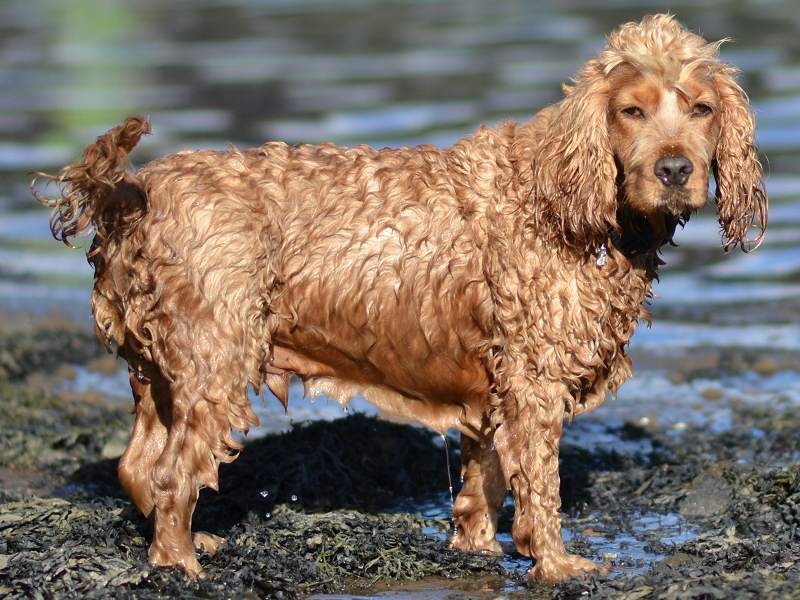 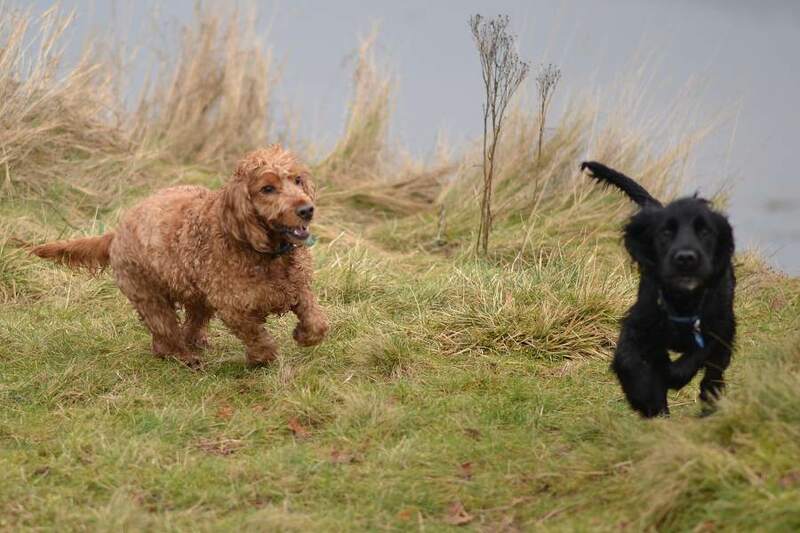 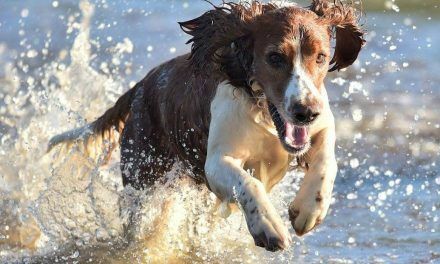 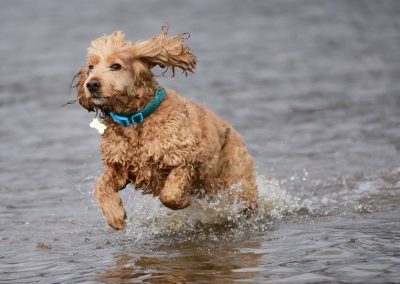 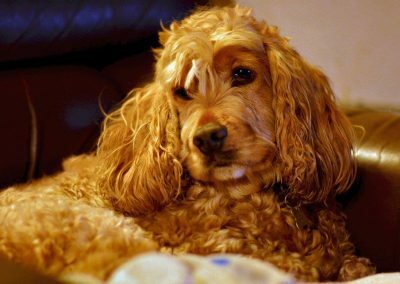 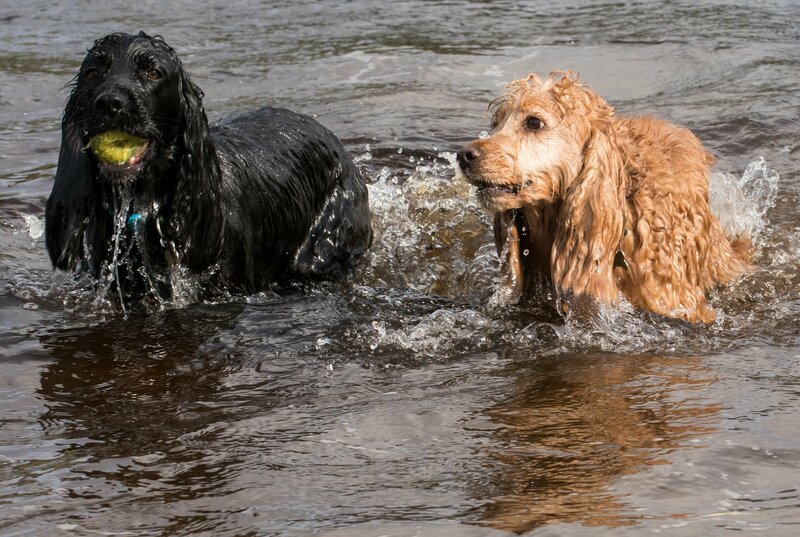 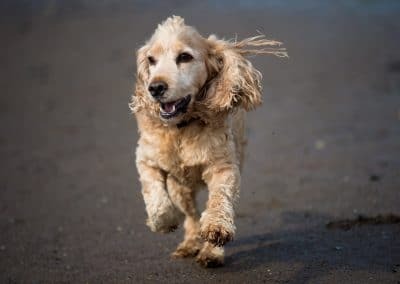 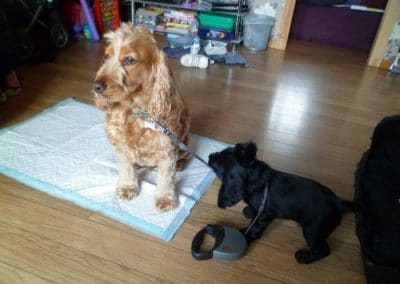 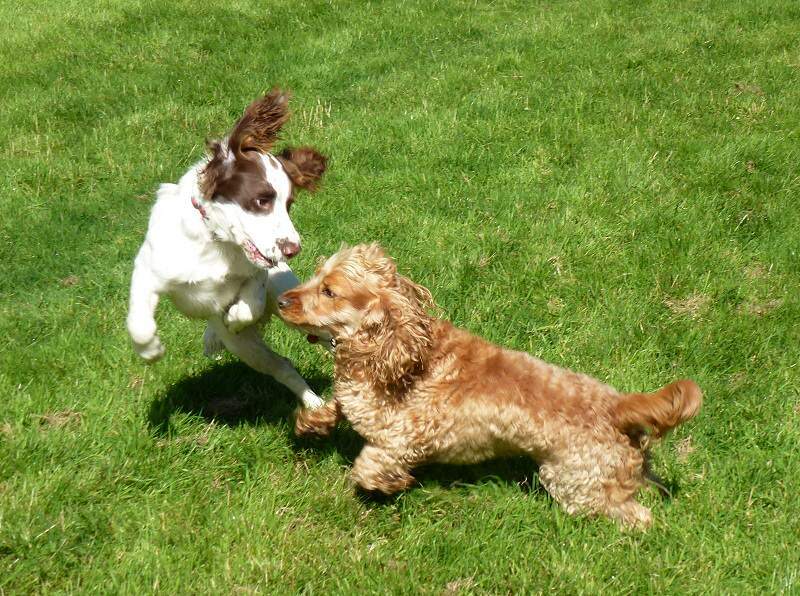 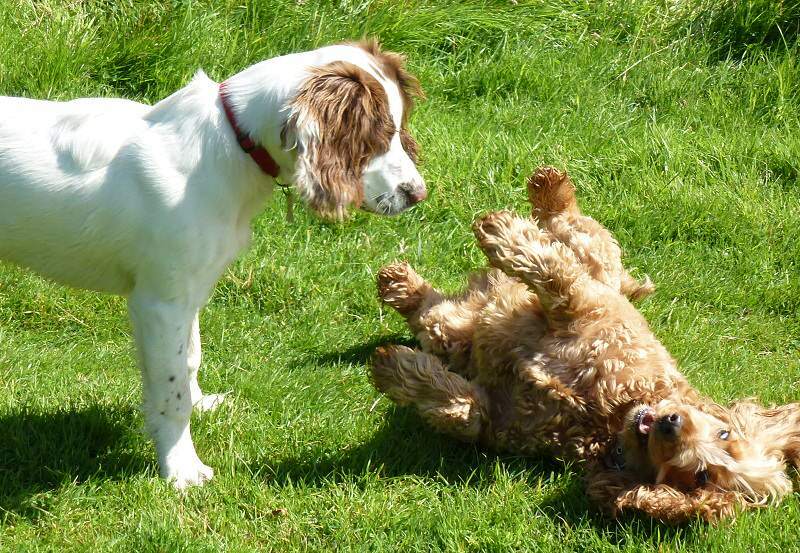 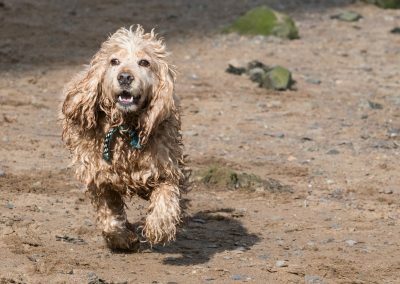 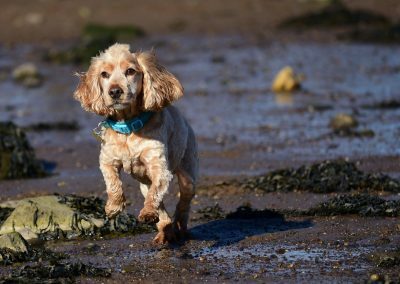 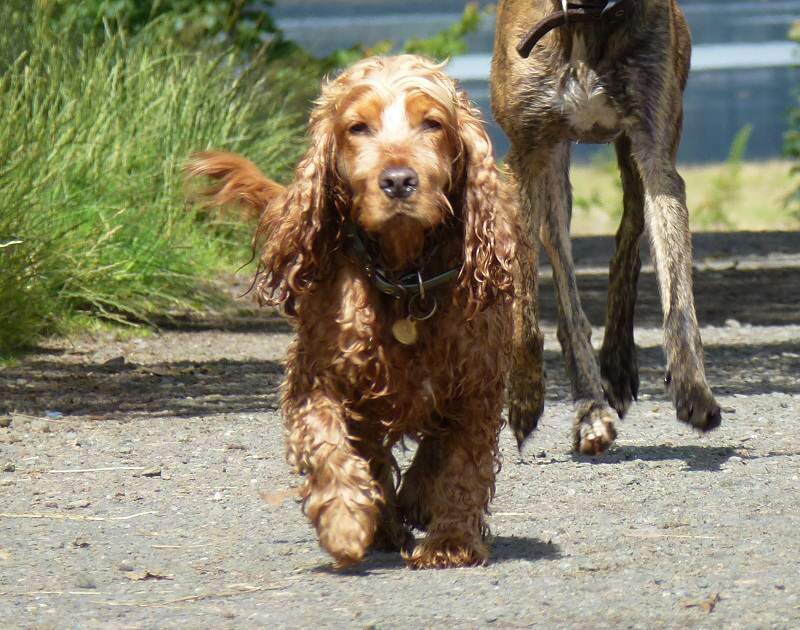 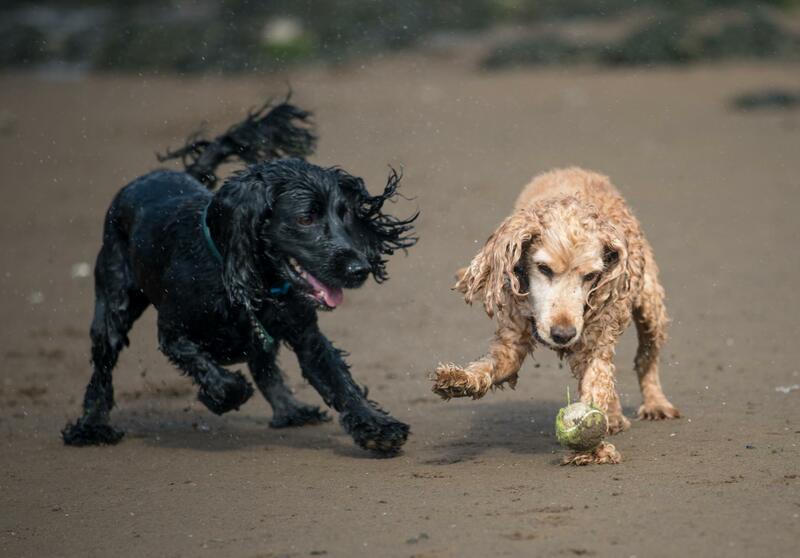 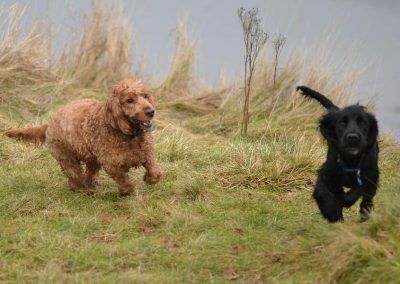 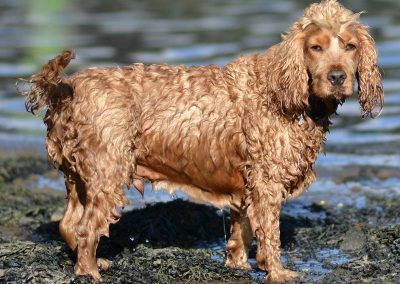 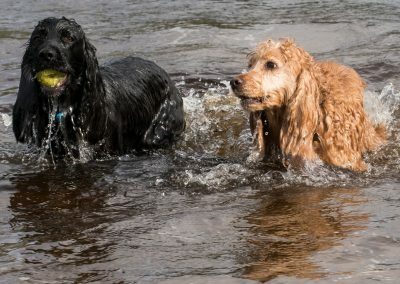 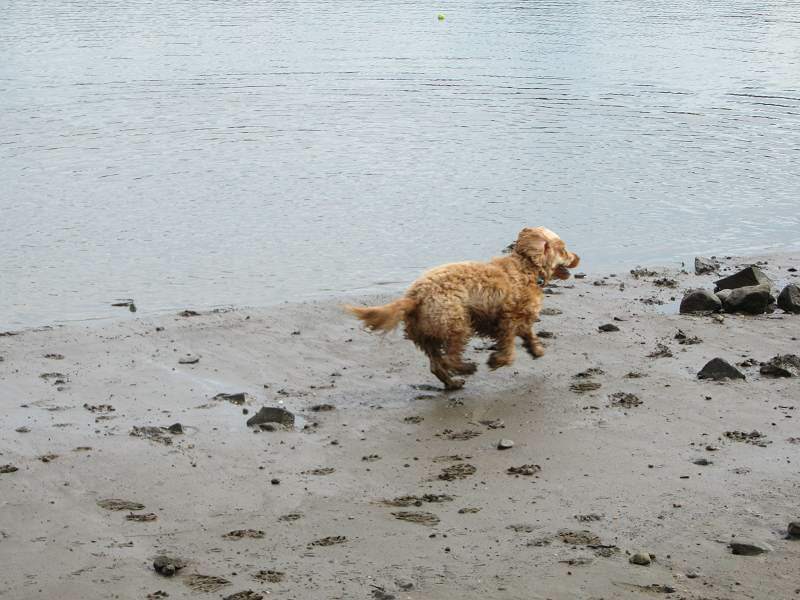 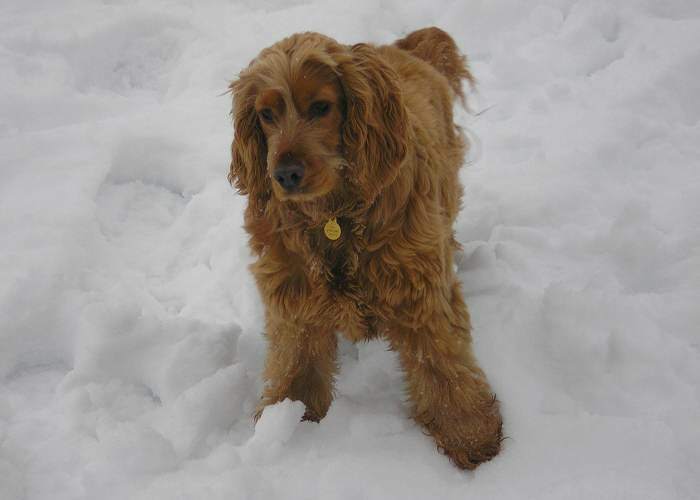 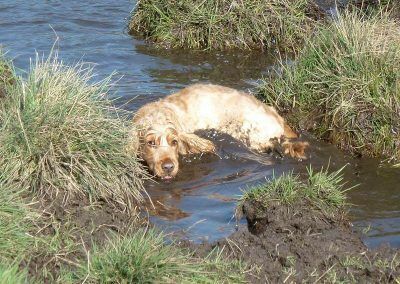 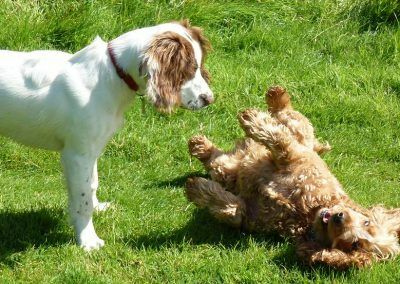 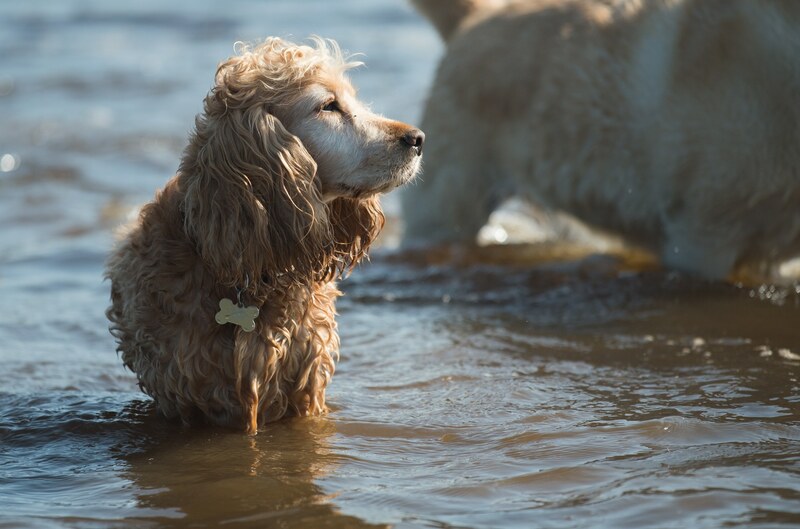 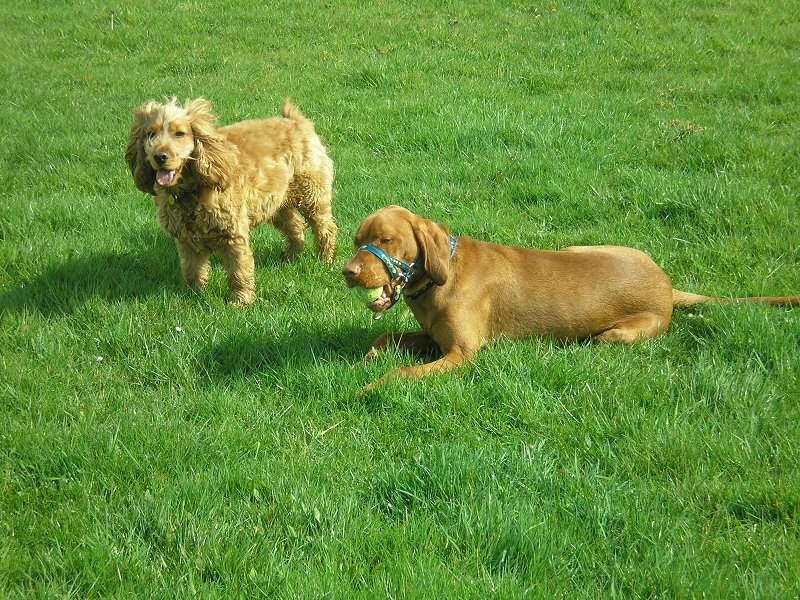 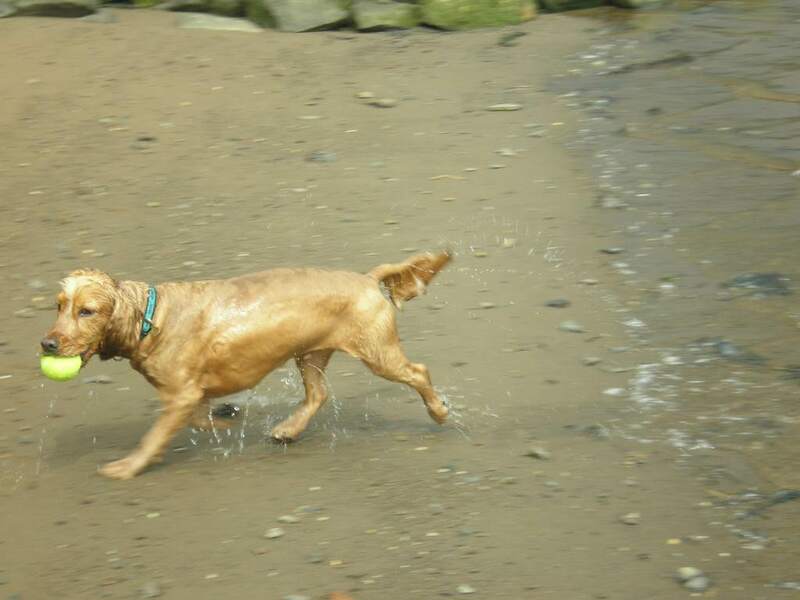 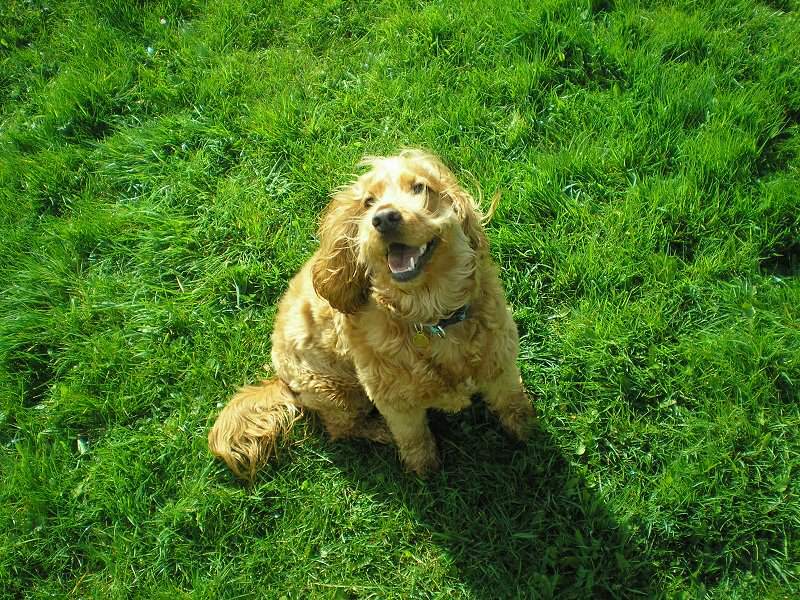 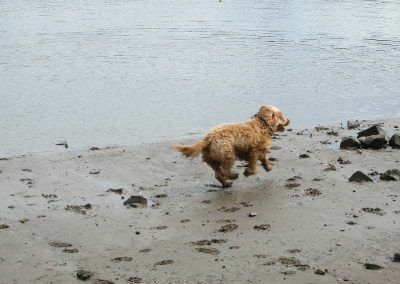 Full of cocker spaniel attitude, Jay loves to play with other dogs and has no fear of large dogs. 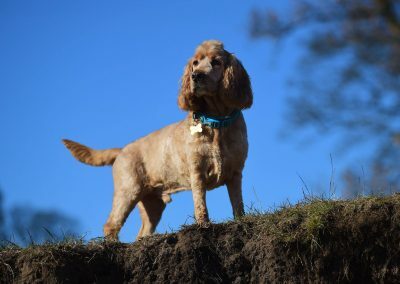 A real hoot, Jay is a brilliant dog to walk! 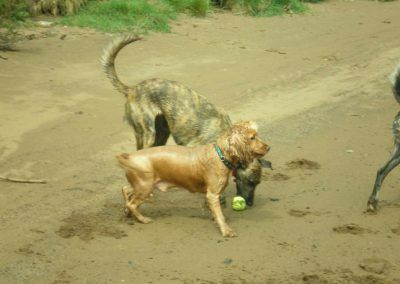 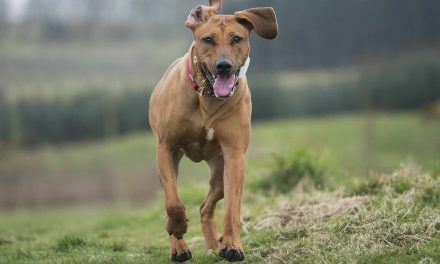 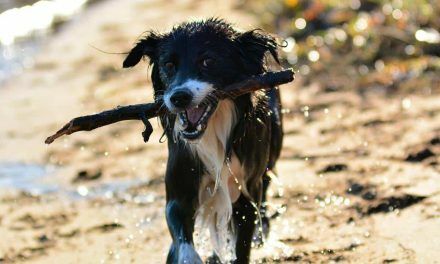 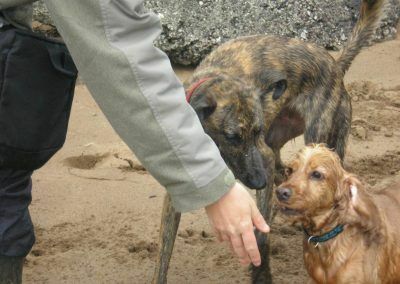 Jay loves the company of other dogs, swimming, squeaky toys and treats and could be walked anywhere off lead! 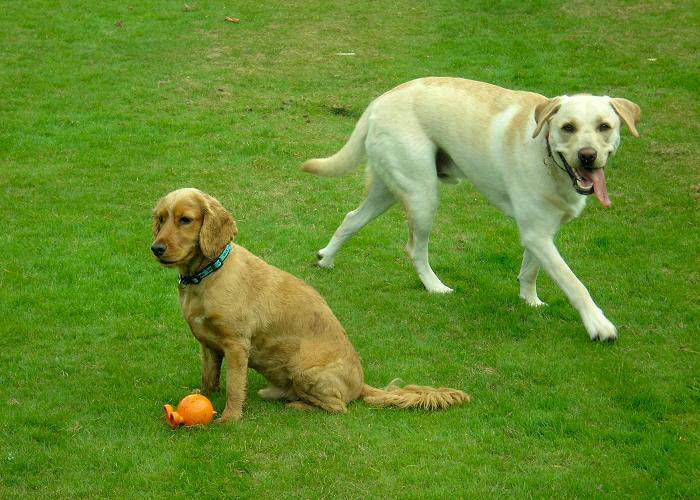 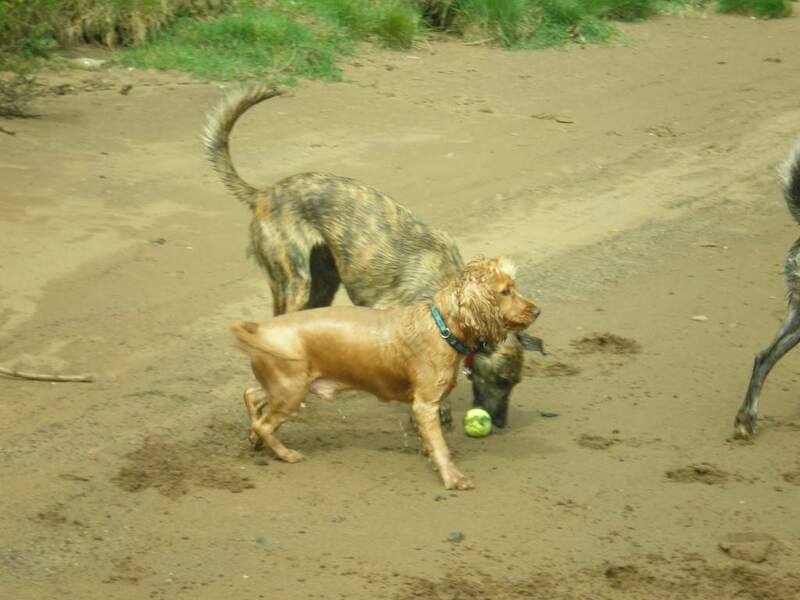 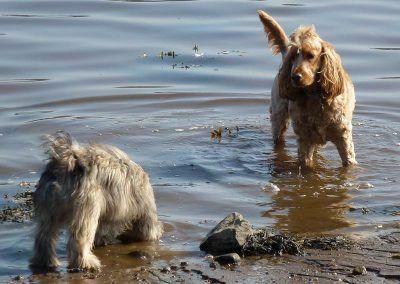 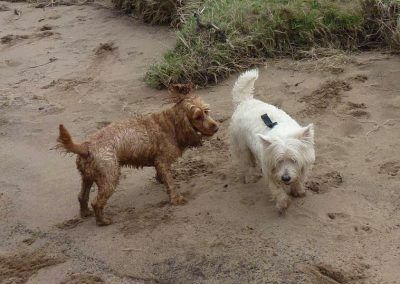 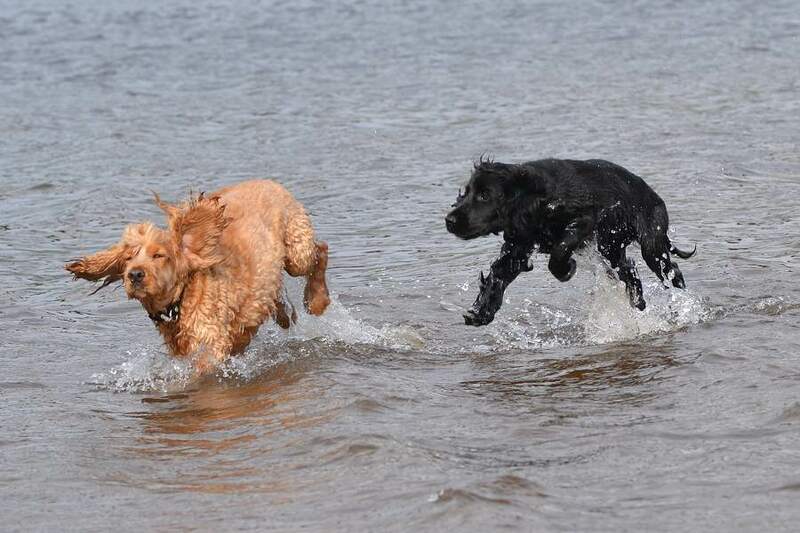 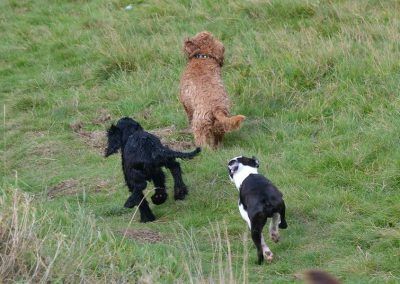 Jay now lives in Erskine with his new pack mate, Rocky. 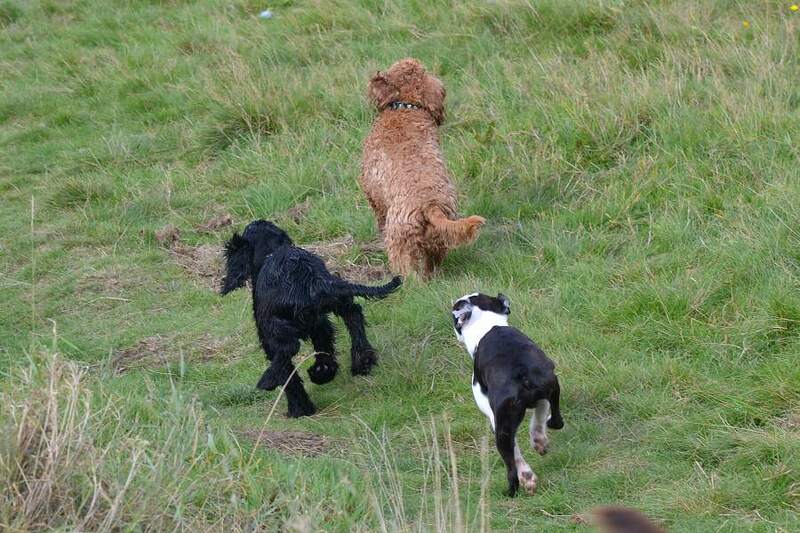 Jay takes the young ones for a run! Patch and Jay rumble in Renfrew! 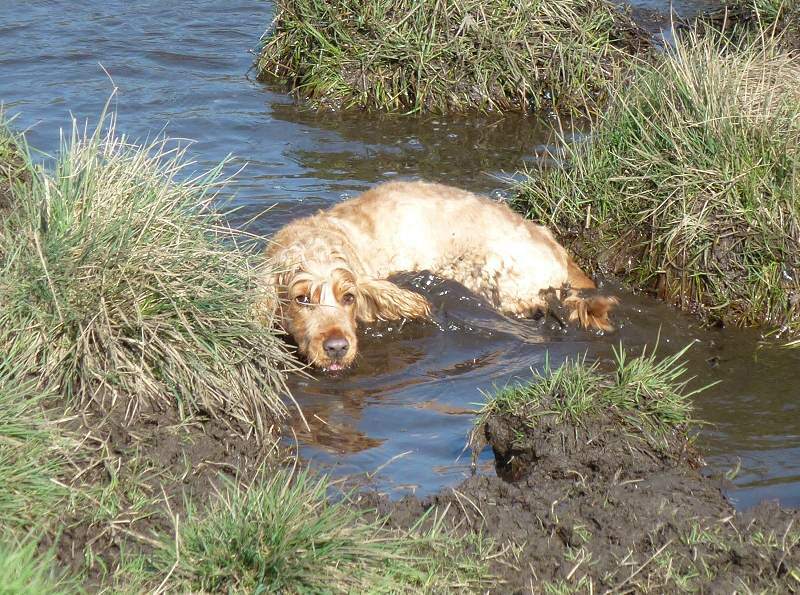 Thick, smelly mud! Jay likes this!! 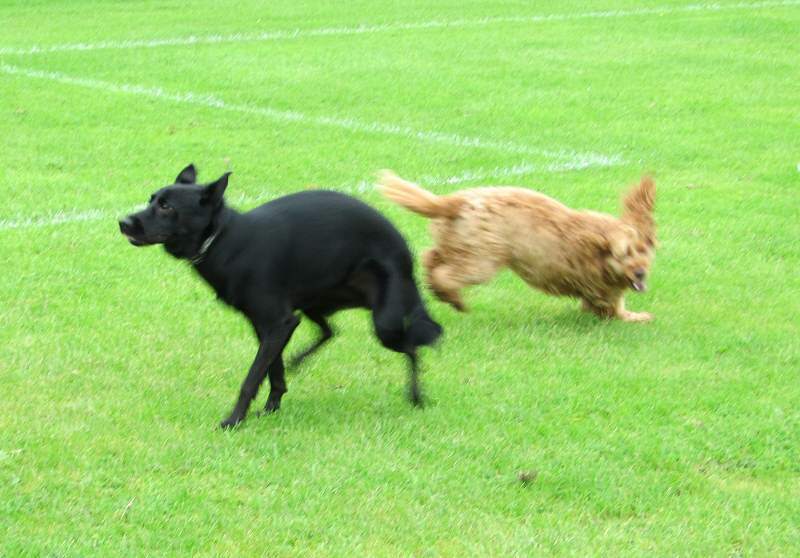 Jay chasing after the ball.